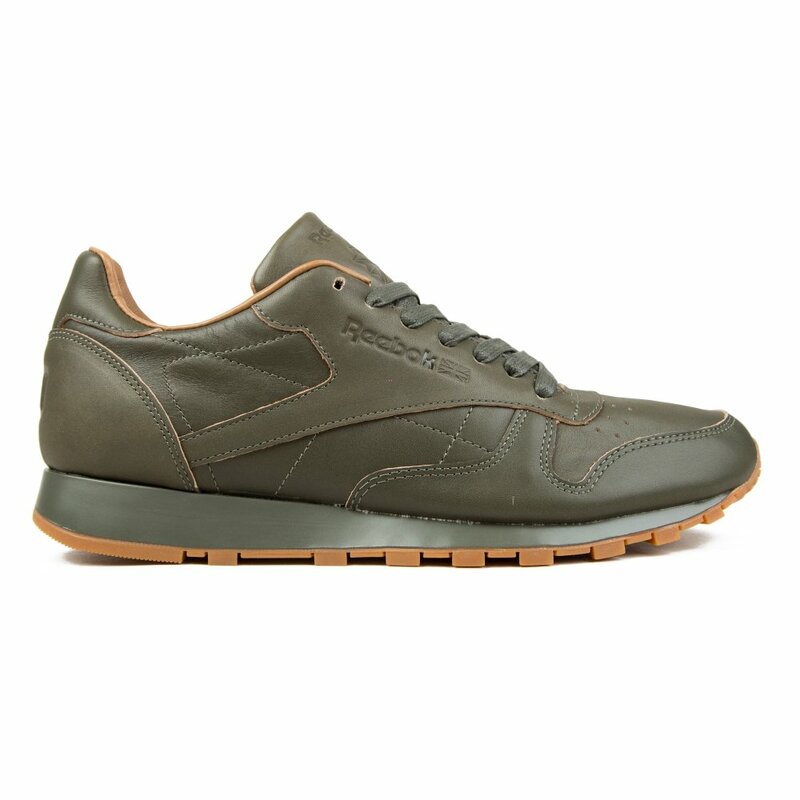 Reebok x Kendrick Lamar Classic Leather Lux (Olive Night-Gum) - Consortium. Kendrick Lamar continues his collaboration with Reebok Classics drawing inspiration from his Compton background and idealistic views. We see red and blue come together, not to make purple but green which symbolises community growth. * Reebok Classic woven tongue label. * Reebok Original Logo embossed logo on the outside panel with prominent 'K'. * Reebok heel moustache grey logo. * Leather collar & heel lining. * Kendrick Lamar Blue and Red insoles. * 'Blue' and 'Red' embossed heel. * High traction rubber gum outsole.